We’ve often posted information about our Aircraft Recovery Training Courses but that’s only half the story when it comes to telling people what to expect when they arrive at our dedicated training facility in the UK. So below we’ve shown a recent course report from our Training Manager, Brian Deacon, which shows how our courses achieve far more than just training delegates on how to recover an aircraft. 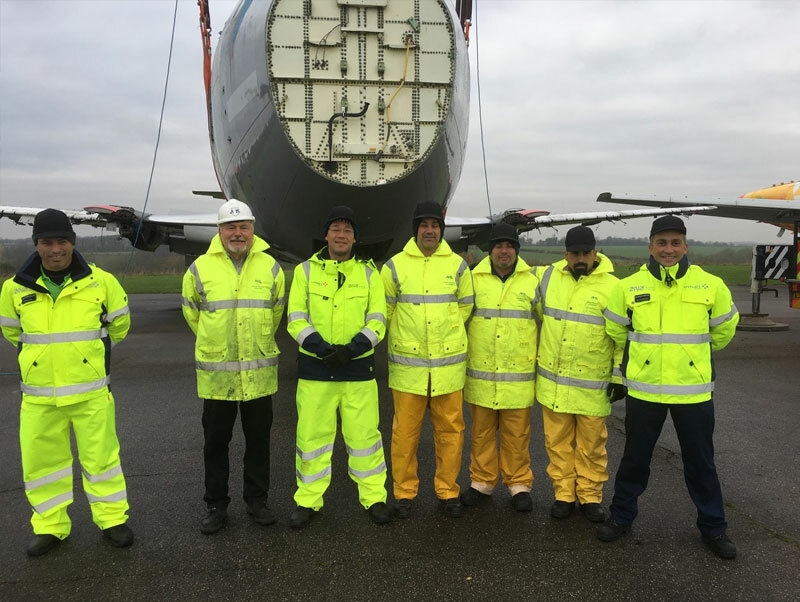 “In September 2016, a group of six Portuguese Fire & Rescue delegates visited the UK for aircraft recovery training at the AMS UK training facility. The group were from four Portuguese airports: Lisbon, Faro, Madeira and the Azores. As is usual for one of our courses they arrived at Heathrow on Sunday evening, were met by myself at the Arrivals Hall and escorted to our coach transport, ready to take them to the hotel local to the AMS UK training centre. Monday morning saw a wet and windy day. In fact, this group commented later that they did not see the sun at all for the first three days of their trip and had great sympathy for the English and our weather! The first half day of the course was spent in a conference room to look at what could be defined as a successful recovery, the various recovery techniques, the equipment that can be deployed, and the details and load limits found in the ARD and ARM. This was a good opportunity for me to gauge how much experience the group had and for them to get a good understanding of what the next three days would cover. After lunch we moved out to the training ground to carry out some “hands-on” familiarisation using AMS recovery training kit. The rain still fell so we had to operate a Single Control Console (SCC unit) from inside the storage container with the compressor and airbags outside! At the end of the afternoon a very damp group returned to the hotel to dry off and enjoy AMS’s hospitality. The whole team from Portugal were very sociable and I enjoyed their company every evening for dinner and drinks. This also presented time to discuss our personal involvement with aircraft incidents and recovery situations. Very entertaining but also thoroughly useful discussions that added to the team’s knowledge and experience from the training ground. Tuesday was another day of rain, some may say realistic recovery weather! The exercise for the day was aircraft tethering and an airbag lift on a B737 with collapsed nose gear, followed by deployment of a 25tonne de-bogging kit and tow of the aircraft back to hard standing. Using the knowledge gained from the previous day’s familiarisation, combined with their own experience, the team carried out the exercise with supervision rather than instruction (and completed the exercise in good time, despite the adverse weather). The Wednesday exercise was also a nose lift on the same B737, but this time using the AMS CAT1 fuselage lifting beam and slings. The weather was kinder to us this day with occasional showers but some dry spells. We collapsed the nose gear and then the forward fuselage first, using a single sling configuration, and then a later mark B737 configuration with a triple sling. All that remained was to clear all the equipment away and back into storage, followed by a final team session to answer any questions and then the issuing of certificates. A great course with a good team to end the year. AMS courses at our dedicated UK training facility are offered as a complete package including all transport, accommodation and food. Accommodation is in a comfortable country-style hotel close to the airfield to ensure delegates don’t have far to travel for each day’s training. Delegates gain tremendously valuable “hands-on” practical experience using narrow-body aircraft such as the B737, A320 or A300. But they also benefit from “shared knowledge” by being in the company of specialists in the recovery arena and by speaking with colleagues from other air recovery teams (sharing their personal experiences in the field to take away with them from the course itself). 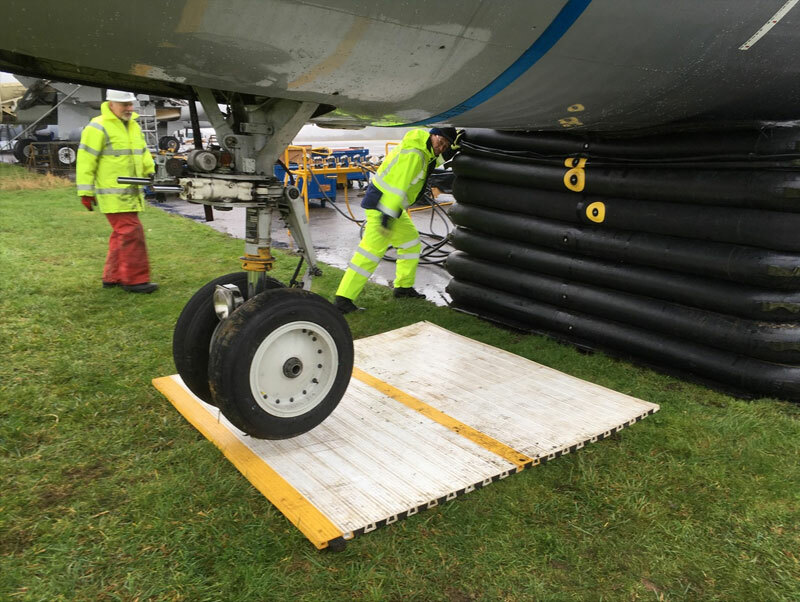 All-in-all we believe AMS offer the most effective training courses on the use of aircraft recovery equipment anywhere in the world, and we hope the extract from Brian’s report provides interesting background on what delegates receive from their time with us. AMS has delivered high quality training to well over a thousand participants across the world, and we now have the capability to expand our Aircraft Recovery Training Courses on a much wider scale through a new SKYPE option. Alternatively, if you have any questions regarding AMS Aircraft Recovery Training Courses you can call us on +44 (0)20 3289 9320, or contact us using the form on our website.